The 12,000 SF addition to the Campus Health Center embodies a changing attitude and approach to student health care – a shift in focus from treating the sick to one of encouraging wellness. Utilizing a vocabulary of red brick and mission tile, the addition successfully expresses the traditional historic architecture of the original 1936 building. The porch is an extension of the original building’s roof form expressed in a contemporary vocabulary of steel roof trusses, offering a cool and inviting refuge from the Southwest desert sun. The plaza extends out from under the porch to the sidewalk creating an inviting space for student gathering. A “transparent” ground floor encourages students to enter the building and experience the various health promotion displays. 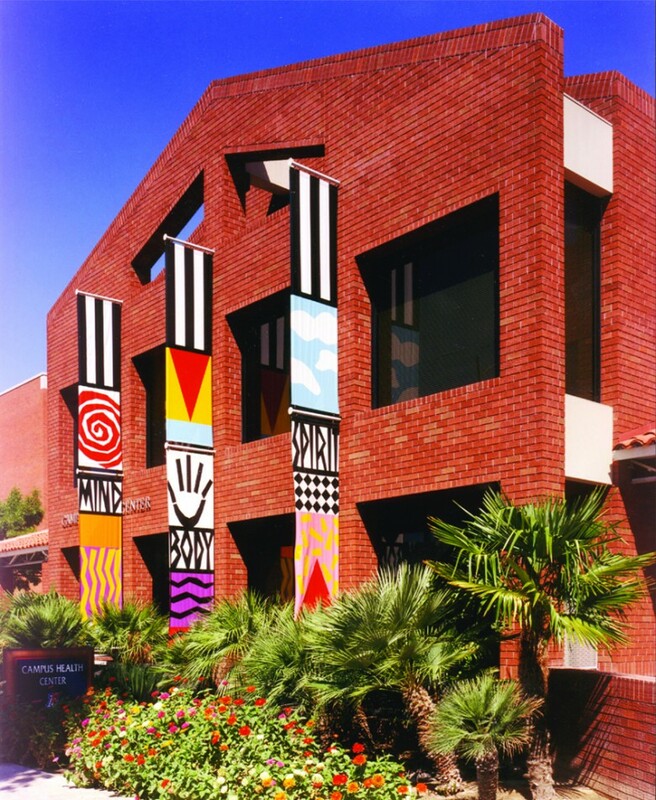 The combination of these elements form a prominent gateway building on the University of Arizona campus. This entry was posted on August 27, 2013 by swaim_admin.